Click on their respective logos above to visit their websites. 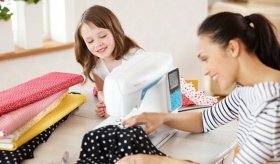 Whether you are new to sewing, quilting or embroidery; our knowledgeable staff will be more than happy to help you find the perfect machine for you. So come on in and be ready to be amazed as these machines are nothing like the ones your grandma used!